Get conference coverage from the Rocky Mountain IPv6 Task Force's (RMv6TFs) 2011 IPv6 Summit to learn what's going on with the Internet Protocol version 6. 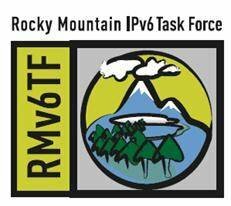 The 2011 IPv6 summit marks the fourth annual Rocky Mountain IPv6 Task Force (RMv6TF) conference—the largest IPv6 event in North America. The summit took place at the Grand Hyatt Hotel in Denver from April 25-27. As it turns out, enterprises that haven't started an IPv6 migration are already too late. Not understanding the new protocol will cost companies unnecessary headache and money. What makes IPv6 learning so difficult for IT engineers? What information are they lacking when it comes to learning IPv6? Find out in this Q&A with Scott Hogg. SearchEnterpriseWAN.com spoke with Scott Hogg, the 2011 IPv6 Summit chairman, about the goals of the RMv6 TF and its IPv6 conference, where you can learn more information on IPv6 and where to find similar conferences across North America for 2011 in case you missed your chance to attend this one. To find out how service providers are managing technology and business issues around the IPv4 to IPv6 transition, SearchTelecom.com talked to Brandon Ross, network architect with the Torrey Point Group, an experienced network engineer who spoke at the 2011 IPv6 Summit. Why should you deploy an IPv6 internal network now? IPv6 is upon us, and while many enterprises are dragging their feet to transition from IPv4 to IPv6, Oracle is making the switch. Not only is the software vendor launching an external IPv6 network, it has deployed IPv6 internally, too. Find out why you should consider the same. Enterprises of all sizes need to learn about IPv6. Understand why and where you can get IPv6 training in this blog post. An internal IPv6 migration gives enterprises a chance to rid their networks of the highly-fragmented routing tables of IPv4. Use this advice to avoid the mistakes people made in IPv4. Here's a recap of the 2011 IPv6 Summit in case you missed it. Read Introduction to IPv6 from IPv6 Security by Scott Hogg. Get IPv6 explained in this technology primer. View our IPv6 migration guide. Ask Silvia Hagen a question about IPv6. ⇒ For more information view our IP Network resources.